On the day before Yom Kippur it is customary to ask for and receive lekach (honey cake—signifying a sweet year) from someone—usually one’s mentor or parent. One of the reasons given for this custom is that if it had been decreed, G‑d forbid, that during the year we should need to resort to a handout from others, the decree should be satisfied with this asking for food. I’ve always loved this tradition, but I do not love honey cake. 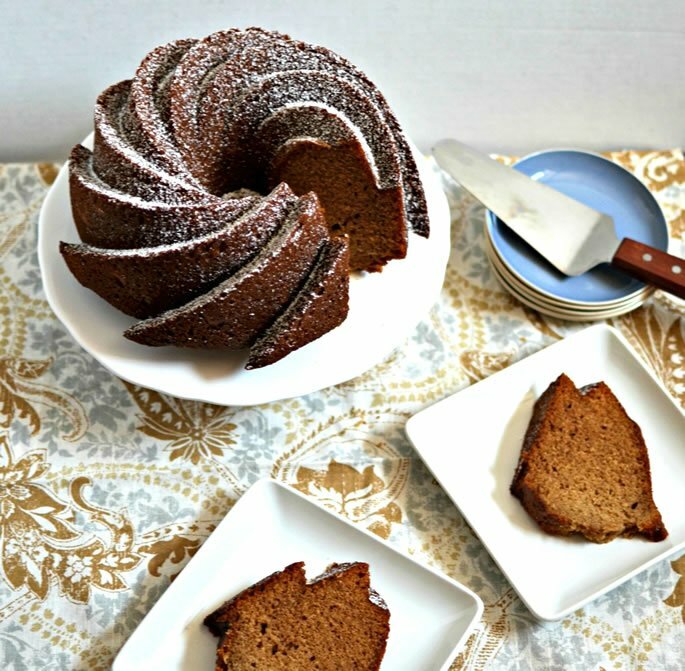 I was determined to “fix” traditional honey cake, but none of my efforts have come close to this fabulous recipe for Majestic and Moist Honey Cake by Marcy Goldman, from her cookbook A Treasury of Jewish Holiday Baking. 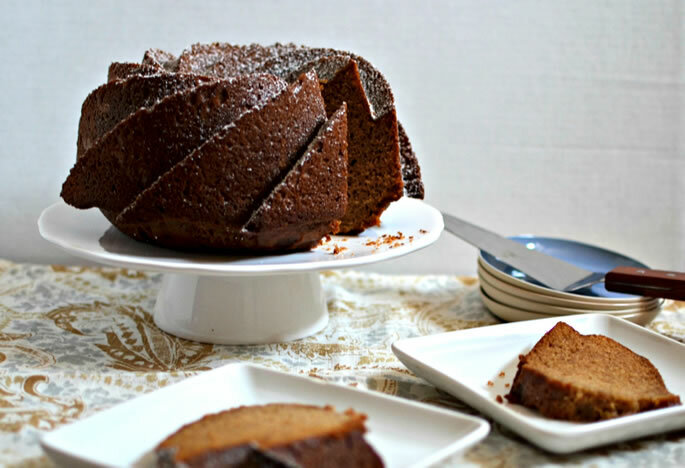 It takes everything you thought you knew about honey cake and turns it on its head, so in case you haven’t yet chanced upon it, I’m sharing it with you. It’s also very easy to make. Simply whisk the flour, baking powder, baking soda, salt, cinnamon, cloves and allspice together. Make a well in the center and add the rest of the ingredients. Mix until you have at thick, smooth batter. Pour into a greased pan. Depending on which size pan you use, you might have extra batter to make another small cake or a few cupcakes. I used a bundt pan, and did have some extra batter. Make sure you grease your pans well. I like to use the baking sprays which have flour in them, or you can grease and flour the pan yourself. I strongly suggest taking the extra minute to properly prepare the pan, because it’s highly disappointing when half the cake gets stuck in the pan after all that hard work! Bake at 350° F until a skewer or toothpick comes out clean. Oven temperatures vary tremendously, and the type of pan you use also influences baking time, so do the toothpick test rather than relying on the clock. Let the cake cool slightly, then tip out onto a wire rack to cool completely. Freezes well. Before serving, dust the cake with confectioners’ sugar. In a large bowl whisk together flour, baking powder, baking soda, cinnamon, cloves, salt and allspice. Make a well in the center and add the rest of the ingredients. 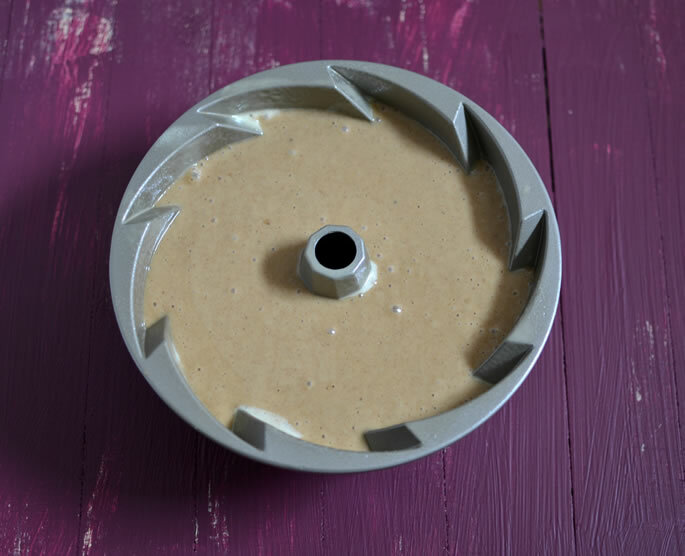 Using a strong wire whisk or an electric beater on low speed, mix until you get a thick, smooth batter. Pour batter into well-greased pans. This recipe makes quite a lot of batter, so depending on the size pans you use, you may have some left over. You can pour the leftover batter into another pan, or into a cupcake tin and make some honey cupcakes. 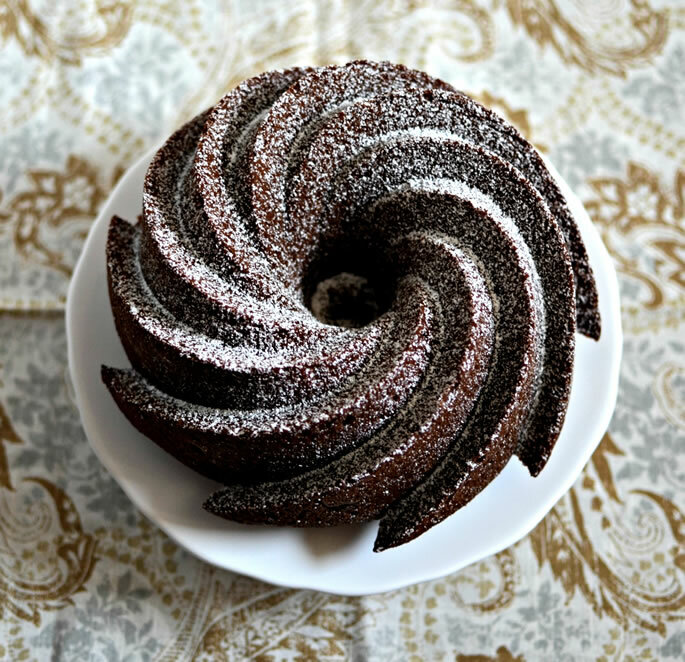 Bake at 350° F until a skewer comes out clean, approximately 50–60 minutes for a bundt pan. Oven temperatures vary tremendously, and the type of pan you use also influences baking time, so do the toothpick test rather than relying on the clock. Are you familiar with the tradition of asking for lekach? Do you do it in your house? For a more in-depth look at this custom, see Lekach and Asking for Honey Cake on the Eve of Yom Kippur. I would like to receive news and updates from Chabad Lubavitch Jewish Center by email. Everything worked perfect! Thank you so much for your recipe for Honey cake. Everybody loved it. Shana Tovah! Where to buy the pan? Hi Miriam! Love the look of your Lekach! I've searched high and low for the bundt pan you show, but without success. What is this pan called? Or where would you suggest i buy it? Thanks in advance....love all your creative ideas! • Bake on 4 for 35 to 45 minutes. When poked in the middle with a chopstick the stick should come out clean. yummy and can be made egg free too This is my favorite honey cake recipe, so happy to see it here!